In their first film together, screen legends Gene Hackman and Dustin Hoffman face off in this electrifying nail-biter about a ruthless jury consultant who'll do anything to win. With lives and millions of dollars at stake, the fixer plays a deadly cat-and-mouse game with a jury member (John Cusack) and a mysterious woman (Rachel Weisz) who offer to "deliver" the verdict to the highest bidder. Packed with danger, intrigue and pulse-pounding twists and turns, Runaway Jury rules! $11.836 million on 2815 screens. Apparently the days in which film adaptations of John Grisham novels would rake in the big bucks are gone. 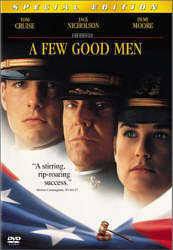 Grisham-based flicks performed very well during much of the Nineties. 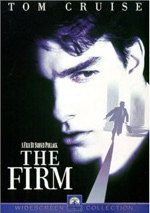 The first – 1993’s The Firm - remains the most successful with a gross of $158 million, but the three films that followed it - The Pelican Brief, The Client and A Time to Kill - all managed to earn respectable totals between $92 million and $108 million. Then came 1996’s The Chamber. A massive dud, the flick made a miserable $14 million. 1997’s The Rainmaker didn’t do tremendously better with its $45 million gross, and after that, we wouldn’t get another film based on a Grisham novel until 2003’s Runaway Jury. Unfortunately, it didn’t attain much of an audience. Despite some massive star-power in its cast, the flick pulled in a lackluster $49 million. Set in New Orleans, he film quickly introduces us to Jacob Wood (Dylan McDermott), a middle-class family man. The day after his son’s birthday, someone busts into his business and shoots up the place. Wood dies as part of this assault, and the movie then jumps ahead two years. At that time, we meet Nick Easter (John Cusack) as he gets called for jury duty. We also see that Nick’s under surveillance, though we don’t know why yet. From there we encounter attorney Wendall Rohr (Dustin Hoffman), the man who leads a case against the Vicksburg Gun Company. They manufactured the weapon used in Wood’s shooting, so his widow Celeste (Joanna Going) sues them. Crusading jury selection expert Lawrence Green (Jeremy Piven) comes down from New York to pursue this position with Rohr and convinces the attorney to use his services. In the meantime, we meet another important player in the person of Rankin Finch. He was responsible for tracking Nick, as he’s the jury selection expert working for the gun makers who act as defendants in this case. With that group’s deep pockets, Finch can go the intensely high-tech route to study all the prospective jurors. Slowly we see all these pieces connect. We watch as Nick goes into the jury pool and attempts to get out of it but fails. We meet the other selected jurors and get more of a sense of the behind the scenes machinations. Eventually we find greater intrigue that connects to Nick and a mystery woman named Marlee (Rachel Weisz). I’ll end my synopsis there, for I don’t want to spill any of the surprises that come along the way. Frankly, the surprises are a lot of the fun the film offers, but that becomes a weakness. For all the twists and turns the story takes, it doesn’t offer much else. I like a good courtroom drama, and I prefer it when they concentrate on the legal action. The flicks that emphasize outside shenanigans tend to turn more into melodramas and lose the snap that comes naturally to good courtroom tales. Unfortunately, Jury definitely falls into an “outside shenanigans” kind of flick. Admittedly, that was inevitable with its sort of plot. As I mentioned, I don’t want to get into it heavily, since a firm discussion of the story would present too many spoilers. Suffice it to say that the trial itself really is something of a Macguffin here; the movie concentrates mainly on the issues connected to the jury and potential tampering. We see multiple machinations that deal with that topic, and this lends the movie the air of a thriller. Any film that tosses away a fairly notable actor like Dylan McDermott in its first five minutes declares itself as an official Big Production. Jury comes stacked with recognizable faces and names. Unfortunately, it doesn’t use most of them very well. The majority of the semi-notables in the supporting cast get tossed away with little to do, and the major actors feel like they’re on cruise control. That will disappoint viewers who tune in to see Hackman and Hoffman paired for the first time. For one, as was the case with the combination of De Niro and Pacino in Heat, the two actors don’t interact much. They get one small scene together, so they connect for only about five minutes of the movie. In addition, there’s nothing here to challenge them or any of the others. 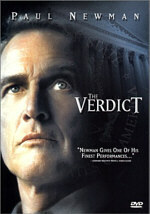 Jury presents a rather predictable thriller in most ways. I won’t claim I foresaw the twists and turns, but many parts of the story were easy to read; let’s just say the conclusion shouldn’t come as a surprise. Much of the fault comes from the tale’s abjectly black and white view of the world. We get really good guys and really bad guys, with nothing between those two poles. Even characters who may seem like shades of grey eventually end up in one end of the spectrum. The film really feels like an anti-gun screed much of the time. I have no problem whatsoever with that viewpoint, but the movie takes its attitude to almost comical extremes. The meetings of the gun makers feel like those of the absurdly villainous Republicans on The Simpsons; I half-expected to see Dracula in attendance. Don’t take all this criticism to mean that Runaway Jury is a bust, for it’s not. The movie presents a decent popcorn flick, as it moves reasonably briskly and offers some mindless entertainment. Unfortunately, with so much talent at work, it feels like it should be more than that. 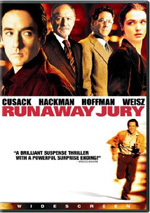 Runaway Jury appears in an aspect ratio of approximately 2.35:1 on this single-sided, double-layered DVD; the image has been enhanced for 16X9 televisions. Jury didn’t match up with “A”-level transfers for modern flicks, but it mostly looked quite good. I noticed few issues related to sharpness. A little softness interfered with some wide shots, but those instances occurred infrequently. Instead, the majority of the movie appeared nicely defined and detailed. I noticed no concerns connected to jagged edges or shimmering, but some light edge enhancement cropped up at times. As for print flaws, I detected the occasional speck, but most of the movie remained clean. Colors mostly stayed natural. The flick occasionally turned slightly stylized, but those instances popped up rarely. Overall, the hues looked quite solid, as the DVD presented the tones with great richness and vivacity. Black levels also seemed deep and firm, and most shadow detail was fine. Some low-light shots appeared a bit murky, such as those in the voodoo shop, but the majority of the flick displayed accurate dark scenes. As a whole, the image of Jury remained positive. Despite the generally chatty nature of Runaway Jury, its Dolby Digital 5.1 soundtrack worked surprisingly well. It provided a consistently positive sense of environment and added some real pizzazz at times. The scenes that featured gunshots showed good movement and integration, as did pieces like a foot chase; it incorporated a nice feeling of action across all the channels. The music demonstrated good stereo imaging, and the effects seemed well placed and accurately delineated. The surrounds kicked in well throughout the film and brought a solid sense of the setting. Audio quality appeared terrific. Speech was always natural and distinctive. Dialogue demonstrated no signs of edginess or issues with intelligibility. Music was concise and bright, with good dynamic range. The effects functioned particularly well. Those elements came across as accurate and lively, and they packed real punch in the low-end realm. Bass was nicely taut and firm throughout the movie and played a surprisingly significant role in the proceedings. Overall, I felt fairly impressed with the soundtrack of Jury, as it demonstrated more life than I’d expect from this sort of film. For this DVD release of Runaway Jury, we find a mix of extras. First we get an audio commentary from director Gary Fleder. He offers a running, screen-specific chat. Overall, this is a good piece. Fleder gets into many useful issues connected to the flick. Fleder chats about changes between the novel and the movie as well as alterations made from the early scripts and deleted segments. He also discusses editorial choices and how he worked on the pacing of the movie, character issues and developing these with the actors, musical selections, and many other areas. He occasionally indulges in the usual happy talk that mars many commentaries, but Fleder usually keeps the focus firmly on the flick itself. This makes his track engaging and informative. We also find selected scene commentary from actors Gene Hackman and Dustin Hoffman. Each chats about one sequence. Hoffman discusses “the washroom” bit in which he and Hackman work together, while Hackman goes over “the bar” piece from the end of the film. This feature doesn’t offer true commentary. Instead, the material comes from interviews, and the screen splits to show the respective actor on the top and the movie scene on the bottom. Neither tells us much. Hoffman offers a neat story about how both he and Hackman were nervous about working together, but otherwise their notes seem generic and bland. Two deleted scenes appear. These last 63 seconds and 48 seconds, respectively, and seem quite superfluous; the movie doesn’t suffer at all for their omission. In optional commentary, director Fleder succinctly and honestly tells us why he axed the sequences. Next we find three featurettes that start with Exploring the Scene: Hackman and Hoffman Together. In this 13-minute and 58-second piece, we see footage from the set plus comments from Fleder, Hackman, and Hoffman. We find out that the script didn’t originally include their shared “washroom” scene and it was written to make sure the pair would act together. We also find other notes about their work and the development of the sequence. Some good information pops up here as well as cool shots from improvisatory rehearsal between Hoffman and Hackman and outtakes from the shoot. Hackman and Hoffman provide tons more material here than in their insubstantial “commentaries”. It’s a strong little program. In Off the Cuff: Hackman & Hoffman, we find a eight-minute and 54-second interview with the two actors. They chat about their shared almost 50-year history together and different elements of their early careers. They also get into various roles and their work. It’s a charming and entertaining piece that adds a lot to the DVD. It’s simply terrific to hear these accomplished actors discuss their craft together. For the final featurette, we get The Ensemble: Acting. This four-minute and 22-second program mixes shots from the set and interviews with actors John Cusack, Rachel Weisz, Luis Guzman, and Jennifer Beals. After two terrific featurettes, I suppose a letdown became inevitable, and “Ensemble” provided that disappointment. It consists mainly of happy talk about the film and the performers. I didn’t learn anything from it. After this comes a general documentary called The Making of Runaway Jury. The 12-minute piece uses the standard combination of movie clips, material from this set, and interviews. We hear from Fleder, Cusack, Hoffman, Hackman, Weisz, professional jury consultant Jo-Ellan Dimitrius, and production designer Nelson Coates. A pretty standard promotional program, “Making” favors the film snippets and general puffery; it tells us about the story plus some basic elements of the production and acts as little more than a long trailer. It also spills lots of plot beans, so if you want to keep the flick fresh, don’t watch it. Actually, you could probably avoid it anyway, as it’s pretty useless other than some more fun comments from Hackman and Hoffman together. Another set of three featurettes begins with Shadow & Light: Cinematography. This five-minute and 45-second show presents behind the scenes footage and comments from Fleder, cinematographer Robert Elswit, and editor William Steinkamp. They chat about the relationship between the DP and the others plus some specifics about the film’s shots and composition. A few decent details emerge, but too much praise pops up in this fairly fluffy piece. Next comes the five-minute A Vision of New Orleans: Production Design. It features notes from production designer Nelson Coates as he takes us on a tour of the courtroom set. He provides details for the various elements and offers a lively and useful examination of the particulars. Finally, Rhythm: The Craft of Editing goes for four minutes and 56 seconds. It includes comments from Steinkamp and Fleder as they go over some editing subjects both general and specific. Though we get a little of the puffy tone heard in the cinematography piece, “Editing” seems decidedly more informative and introspective. The DVD also includes a trailer for Man on Fire. Oddly, we don’t find the ad for Jury itself. Lots of big-name talent shows up in front of the camera for Runaway Jury. Too bad this adaptation of a John Grisham novel feels so flaccid and by-the-numbers. The flick manages to offer moderate entertainment, but it never turns into anything to live up to its billing. The DVD provides good picture and sound plus a nice selection of extras highlighted by a terrific commentary and some exceedingly entertaining interviews with the flick’s legendary actors. Those are so much fun that I’d almost recommend the DVD just for them, but since the movie itself seems pretty lackluster, I can’t push for more than rental status.